Tors return with their highly engaging folk-based harmonies on their new single ‘Wilder Days’, following their sold out tour supporting Tom Walker in November last year. Matt and Theo; two brothers that make up two thirds of Tors, started out their musical careers writing tracks featuring in critically acclaimed Channel 4 Drama - Skins. Alongside Tors, Matt writes music for multiple Japanese and Korean pop bands, and has also written chart hits in Italy and Poland. In addition, he’s written a song that is currently being supported by Radio 1 – ‘Better’ by Declan J Donovan. Tors have made a massive impact with the likes of BBC introducing, 6Music and Radio X. With streams totally over 2 million so far, they’re ready to make waves with the release of their new single ‘Wilder Days’, recorded naturally in their Dad’s old shed in Devon. 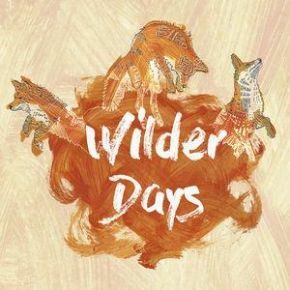 The lead single ‘Wilder Days’ opens with The Lumineers-first-album-esque harmonies, accompanied by low-tom-drum-fills and guitars, which make for a sheep-wool-thick texture, while the lead vocalist paints a sensorial picture of late-spring British forests and fields. For all the single’s winding paths and unexpected vistas, Tors’ harmonies remain the primary draw, and they’ve clearly written and arranged these songs to showcase those. Tors are named after a collection of different rock formations in Devon, where Matt and Theo Weedon (frontmen of Tors) hail from. The brothers, who started the band together, are grandsons of the late Bert Weedon, a famous guitarist during the 50’s and 60’s, and writer of Play In A Day; a book which has been credited by Eric Clapton, Paul McCartney, John Lennon (to name a few), for their guitar abilities. Tors have a big year ahead of them, where they are scheduled to play The Great Escape and a number of U.K festivals this summer; they are sure to turn heads and prick ears in 2018.